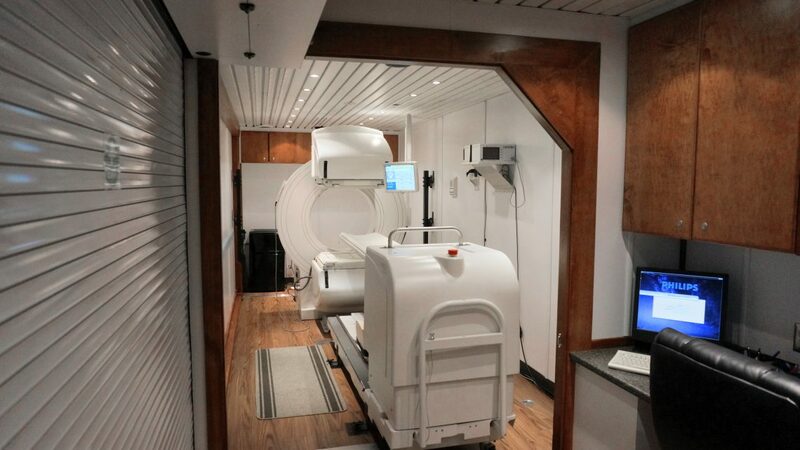 Front Range Nuclear Services offers imaging products that are both high-quality and affordable to clinics, hospitals and imaging centers. From renovating your imaging center to transitioning to more advanced services, we can bridge the gap in the interim. FRNS carries a fleet of mobile nuclear medicine centers, allowing our team to deliver an imaging unit to you with little notice. Whether you prefer to use your own staff or work with ours, we can assist as you navigate your temporary imaging solution. That’s our difference. Our caring approach and personalized attention to your needs is what sets our team apart from the rest. Flexibility is essential in our industry, which is why we are delighted to work with you and your clinic to match your needs. Whether you are slowly building the resources you need to build your own imaging center, or you need equipment to assist you as you transition from old to new technology, we provide the equipment leasing solution. Stay in business and continue your care with leasing from Front Range Nuclear Services — a well established and trusted mobile nuclear imaging company in Cheyenne, Wyoming. Our goal is to make your job easier and more efficient by providing you with the equipment you need, ranging from imaging technology to staff. Contact our team today so we can get started!